This is it, then – you’re really doing it, you booked a driver to transport your pet. When transporting your pets with someone you barely know, it’s perfectly normal to experience some separation anxiety. Just try to remember, fear should never be allowed to control your actions. You’ve already made a calm, rational decision to have the pet travel apart from you. Don’t override it now, while worried, frustrated, and possibly not thinking straight. 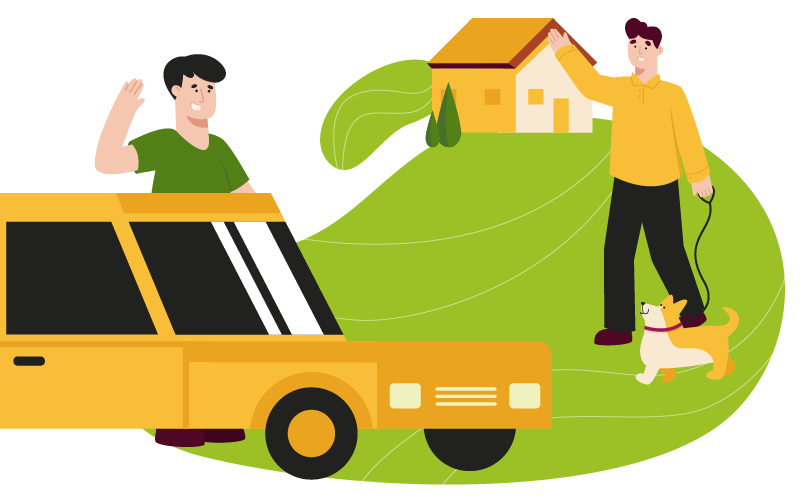 You’ve just booked a driver and are about to leave your pet in their care. They’re going to ship them for you across the country. In a container. All alone. While you’re hundreds of miles away, doing other stuff. But how’s that supposed to work? What if something goes wrong? What were you thinking? What are you supposed to do now?! Well for starters, you should try to relax. To help you remain calm and make sensible decisions, here’s a few words of advice that we’ve gathered by interviewing our veteran shippers. Most of them have had the jitters too, back when they shipped their little bundle of joy for the first time. Here’s what they wish they’d known back then, and what made them see the experience in a positive light. Of course, you shouldn’t just cram your little critter into a crate and hand them over. There’s several steps you could take to make their trip go by smoother. If possible, car-train the pet beforehand. You can take a dog for short, easy rides; all the precautions still apply. (Use a backseat carrier or doggy seat belt, have the windows barely cracked open.) In time, they will get used to the car, and might even come to enjoy being driven around. If you have a cat, on the other hand, don’t bother – odds are that they will never find car rides fun. For other animals, your mileage may vary. If the pet is experiencing persistent motion sickness or is otherwise feeling queasy in the car, consult a vet. They will prescribe mild sedatives to help the animal relax and fall asleep mid-transport, reducing trauma to a minimum. Speaking of veterinarians, make copies of relevant health records and have them handy when the driver arrives. Whether you want to make them aware of the pet’s specific health issues, or just offer evidence that the animal has had all its shots, it helps to be prepared. Keep in mind that the driver has likely done this before and knows everything that we’ve outlined above. Talk to them if you’re unsure about any requirements specific to the pet or the journey. All the drivers working for Citizen Shipper are highly professional, reliable, and understanding. In most cases, those who bid on pet shipments are pet owners themselves – they know what you’re going through. It’s likely that they chose the job in the first place because they genuinely enjoy traveling with animals. To ease your nerves, feel free to talk to the driver you’ve booked. And by that, we don’t mean just list off every little thing about your pets and their specific needs. Try to listen as well! The driver should reassure you that he’s aware of the responsibility of the task that he’s entrusted with. If you’re still having doubts, see what your pet thinks. If they react badly to the driver or seem particularly nervous, you might want to cancel even though you’d lose the deposit. But if they seem to get along well enough, trust their judgment – animals really do have a sixth sense about these things. Easier said than done, we know. Still, after you’ve entrusted your pet to a stranger – a professional, responsible stranger – try to take it easy. Spend some time on yourself. Do whatever relaxes you to keep yourself from worrying needlessly. If organizing your own trip at the time, you’ll probably be busy packing and making other arrangements, so at least there’s that. But sooner or later, your thoughts will inevitably drift back to your pet, all alone in a container, in someone else’s car. At that stage, you could check in to see how things are going. If requested, the driver will share their geolocation data with the shipper for the duration of the trip, allowing you to track their progress in real time. If that’s not enough of an assurance, some drivers will also agree to the occasional phone call. Every once on a while, typically when on a break, they might call or text you to let you know that everything is going well. Don’t abuse this privilege, though. The pet’s well-being should always be a top priority, even over your own peace of mind. Don’t call the driver to see how your pup is holding up while they’re still on the road. In addition to being annoying, this is a potential driving hazard – and nobody wants those. 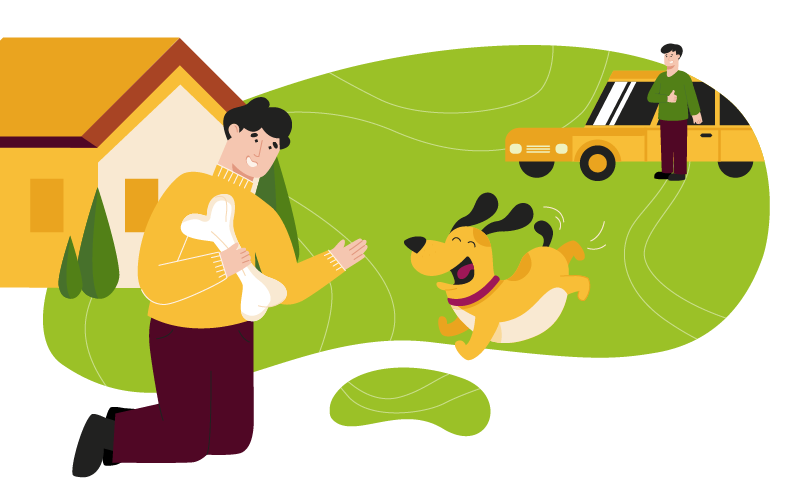 Finally, when your precious pet arrives at the destination safe and sound, you’ll realize that there was no real need to worry. If you’re there to welcome them in person, make sure to show them some much needed TLC. If you’re shipping them to friends or family, it’s usually a good idea to send over a few familiar items ahead of time. They’ll adjust to the change of scenery more easily if they find their favorite toy or blanket waiting for them. That being said, different animals react to long trips in different ways. Some might seem frightened, even unwilling to step out of the container. Others will rush out eagerly and start clamoring for food or attention like they always do. Either way, you should give them the time and space they need to adjust to the new environment. Pets are like kids in that respect – they can and will adapt to almost anything, at their own pace. It might seem hard to believe, but some of our shippers have said that they felt a little envious after seeing how well their pet has handled the trip. Apparently, the animals enjoyed the ride so much that it made the owners wish that they’d been there to share the experience. If you get that impression too, maybe treat yourself and your fluffy friend to a road trip when next you get the chance. This entry was posted in Uncategorized and tagged pet shipping safely, pet transport, pet transportation. Bookmark the permalink.